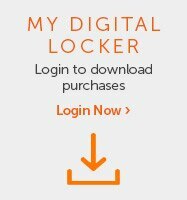 Login to My Digital Locker to download purchases. ^Dell Business Credit: OFFER VARIES BY CREDITWORTHINESS AS DETERMINED BY LENDER. Offered by WebBank to Small and Medium Business customers with approved credit. Taxes, shipping and other charges are extra and vary. Minimum monthly payments are the greater of $15 or 3% of account balance. Rewards are issued to your online Dell Advantage Loyalty Rewards Account (available via your Dell.com My Account) typically 24-48 hours after your order's ship date; Rewards expire in 90 days (except where prohibited by law). "Current rewards balance" amount many not reflect the most recent transactions occurring within the past 24-48 hours. Up to 10% rewards only on Dell Business Credit purchases. 5% reward on all other purchases. Bose products only eligible for 5% rewards. Any balance remaining on your purchase after Rewards are applied may not be paid with DBC and instead a separate form of payment must be used. Outlet purchases do not qualify for rewards. Expedited Delivery not available on TVs 40" or larger and 55" Dell Branded Monitors. Other exceptions apply. Not valid for resellers and/or online auctions. See Dell.com/businessrewardsfaq. *Second Business Day Shipping: Not available on televisions 40" or larger, Promethean Smart Boards, NetShelter Empty Racks and Loaded Racks, S520 Interactive projector solutions, and 55" Dell Branded Monitors.